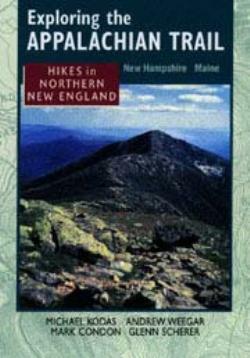 Exploring the Appalachian Trail: Hikes in Northern New England, by Michael Kodas et al, 1999. Four authors have teamed up to produce a fine guide to 38 day and overnight hikes along the AT in New Hampshire and Maine. The hike descriptions and sidebars have generous helpings of natural and human history, and each hike is accompanied by a topo map and elevation profile. 388 pp, 5" x 7".